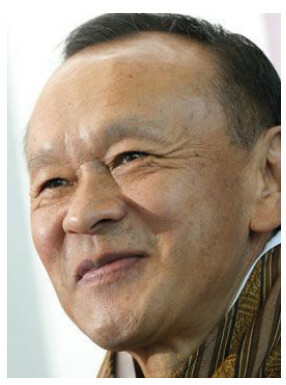 A Bhutanese national, Mr. Thinley was born on 9th September 1952. Aside from his native languages, he speaks English, Hindi and Nepali. Academic Qualification: BA (hons), Delhi University, India; MPA, the Pennsylvania State University,USA; Hon PhD, Kalinga Institute of Technology, India; Docteur Honoris Causa, Universite` Catholique de Louvain, Belgium. Many of his articles have been published in leading international journals in several languages.